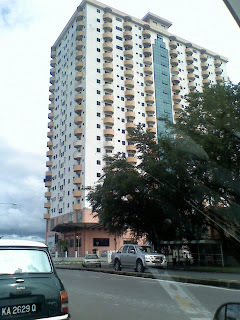 journey of growing......: Another good place for KoloMee in Kuching. 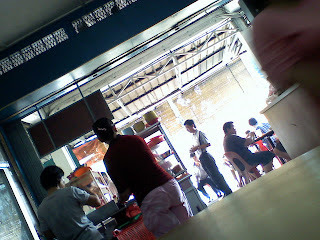 those really old shops still exists to serve you, especially foods. 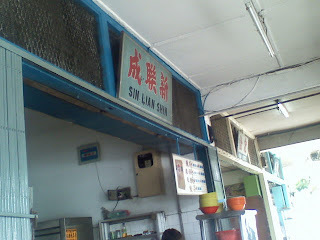 Only Kolo Mee is selling in this small shop. Two stalls was actually open by a pair of husband and wife. The husband was in charge with only take away kolo mee at the from stall, and the wife was at the back, in charge with the order for in shop customer. Help by family members and the cashier was actually the founder, the father of the husband. 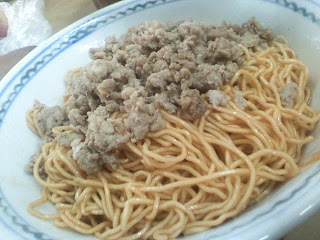 It looks simple but taste good, really good. The shop quite small so a bit problem to grab a seat. Go early for breakfast, it open early morning. Ya...the kampua there is nice! 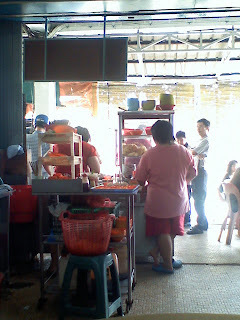 And also the chang and the nyonya kuihs they sell at the stalls outside that shop in the evenings around 3 onwards. 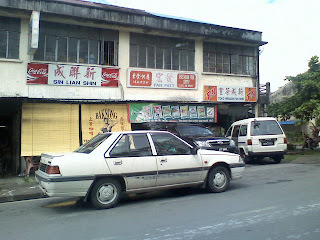 suituapui: oh...that one is the other coffee shop which located at the same row also.